Sri Sri Ravi Shankar had said in Delhi earlier this week that he was voluntarily mediating on the temple-mosque dispute and would meet all stakeholders in Ayodhya on November 16. The Supreme Court will hear the case on December 5, a day before the 25th anniversary of the Babri Masjid demolition. 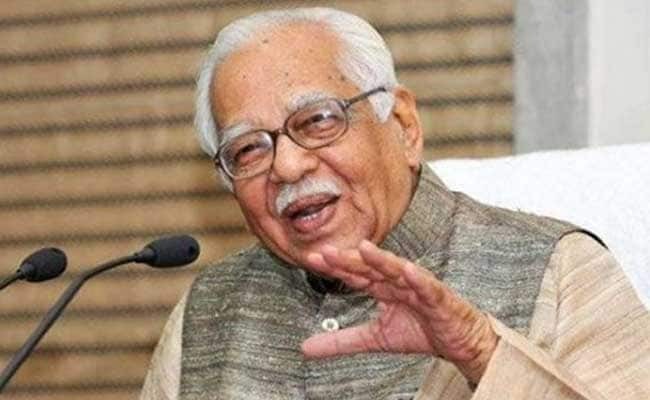 New Delhi: Uttar Pradesh Governor Ram Naik today expressed the hope that efforts to resolve the Ram Mandir-Babri Masjid dispute would bear fruit, but stressed that the Supreme Court's verdict on the issue would be binding. The governor's comments come in the wake of a meeting today between Art of Living founder Sri Sri Ravi Shankar and UP chief minister Yogi Adityanath in Lucknow, ahead of the spiritual leader's interaction with stakeholders in the Ram Janambhoomi-Babri Masjid dispute. "This (mediation) kind of effort is being made by those who believe it will help resolve the issue at the earliest. I wish their efforts bear fruit. But the Supreme Court's final verdict will be binding," Mr Naik told reporters on the sidelines of an event in Delhi. The Supreme Court has said the issue should be amicably resolved through a cordial meeting of all parties. Mr Naik, while thanking those making efforts to settle the matter, also said the court's decision would be the final one and everyone must agree to it. Sri Sri Ravi Shankar had said in Delhi earlier this week that he was voluntarily mediating on the temple-mosque dispute and would meet all stakeholders in Ayodhya on November 16. Meanwhile, the Supreme Court will hear the case on December 5, a day before the 25th anniversary of the Babri Masjid demolition.